Microsoft xYz Combines Zune and Xbox? Team Xbox claims to have sources inside Microsoft who are working on a new device that "sits somewhere in-between the Xbox and Zune platforms." Whether or not this device is the fabled "Pink" Zune Phone is unclear, but Team Xbox is pretty sure that the device they've heard about lacks a phone. Codenamed the "xYz" during discussions, the device will feature a WVGA touchscreen and a series of new hardware features not currently seen on the market (these features are unclear, and could include WiMax or graphics processing chipsets). It will implement Live Anywhere in a way that unites Microsoft's digital storefronts, allowing music and movies to play on the xYz and Xbox. The xYz is meant to compete with Apple, Sony, Nintendo, but also Google through implementation of Live Search—maps, news, etc. All in all, the device described by Team Xbox sounds a lot like a PSP with smarter connectivity. And while such a product would certainly be interesting, especially from the company that's (imho) the leading console developer in the world, it really needs the phone angle pointed out in the Mary-Jo Foley device to compete for our precious pocket space. 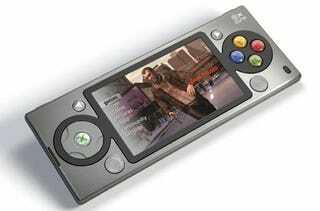 So are the Zune Phone and xYz separate, or similar, devices? Maybe the Zune Phone just the iPhone to the xYz's iPod touch?